RRP £22.00 £20.00 from 4 pcs. Simple and high-quality, the felt seat cushion from the Connox Collection is the perfect upholstery for various classic chairs. 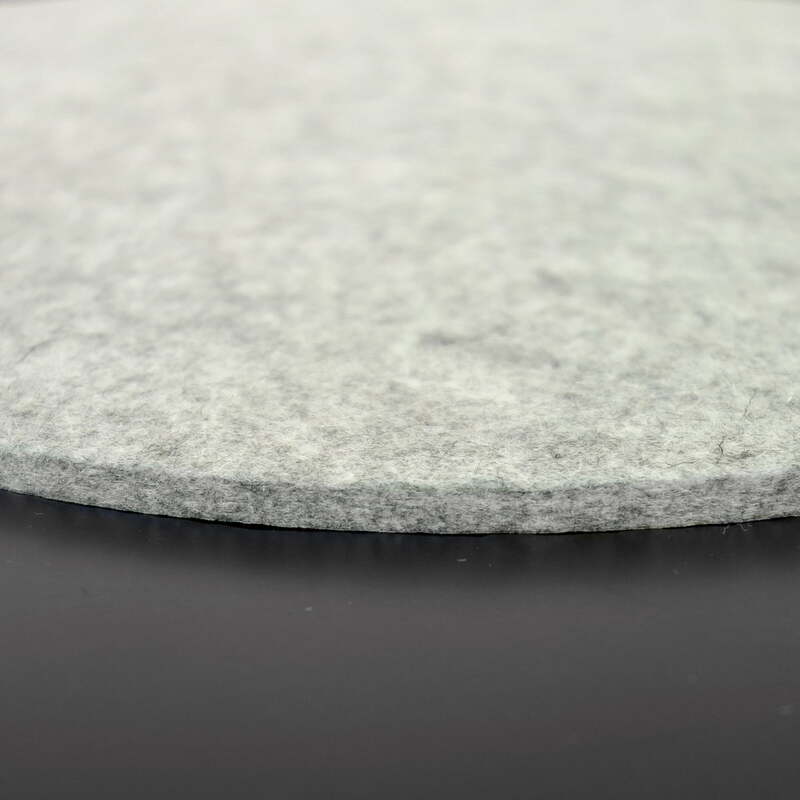 Made of 100% wool in Germany, this simple felt cushion with a soft surface and practical anti-slip coating on the underside is a delight. 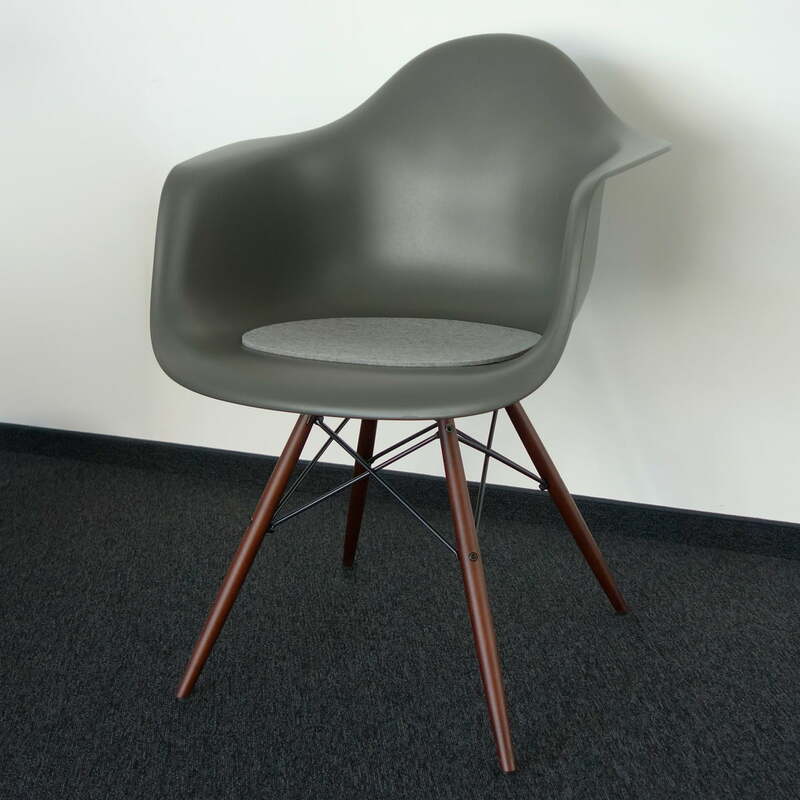 The organic shape of the cushion, which tapers slightly towards the back, is particularly suitable for Eames Plastic Chairs, but many other chairs made of plastic, wood or metal can also be combined with the wool felt cushion. Felt seat cushion in grey-mottled from the Connox Collection with non-slip underside made of 100% wool felt for Vitra chairs. A rounded felt seat cushion Made in Germany. 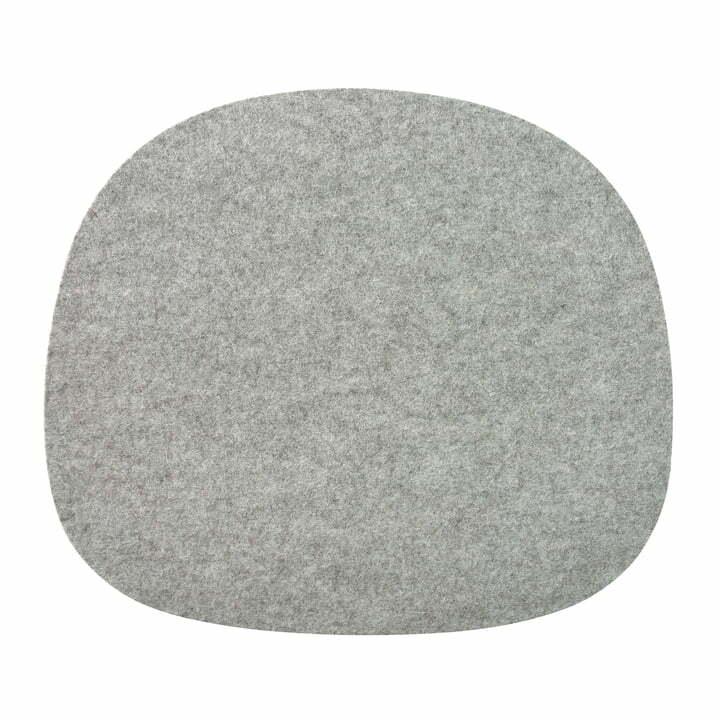 The wool felt seat cushion in grey has a thickness of 4 mm. The soft felt upper side is complemented by an anti-slip underside, which makes the upholstery not only comfortable but also particularly functional. The felt chair upholstery with anti-slip in grey can be combined with many different Vitra chairs, such as the DAW classic, thanks to its organically soft shape.